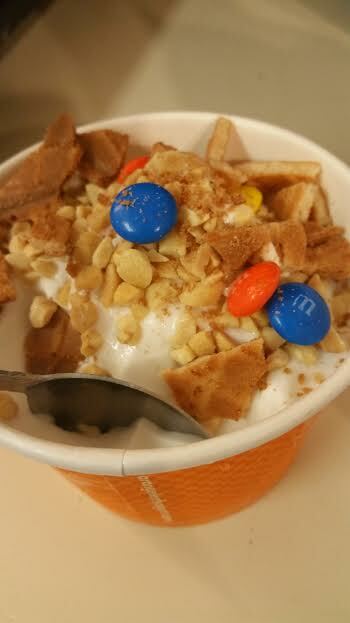 Disclosure: Orange Leaf Frozen Yogurt sponsored this post, and I received product in exchange for my review. However, as always all opinions are 100% my own. I can NOT believe that it is already time for back to school!! Where did our summer go? I have no idea, but now here we are staring at the start of another school year, and it's right around the corner! This is a big year for our family, as it marks the first year that we will have four kids in school in the same school district. Having all the kids in one places is a little overwhelming, but ultimately, a great thing! 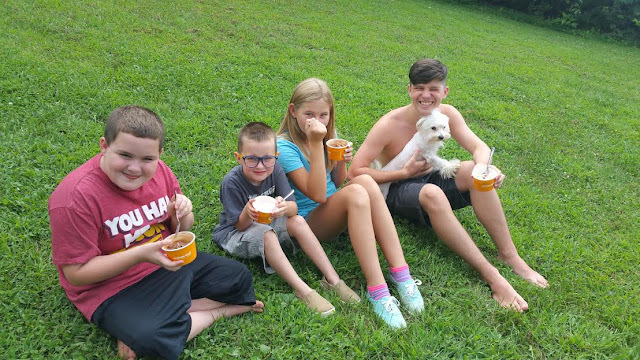 We were lucky enough to get the chance to partner with one of our favorite brands, Orange Leaf Frozen Yogurt, as a way to celebrate back to school time and also to remember all the great fun we have had this summer! 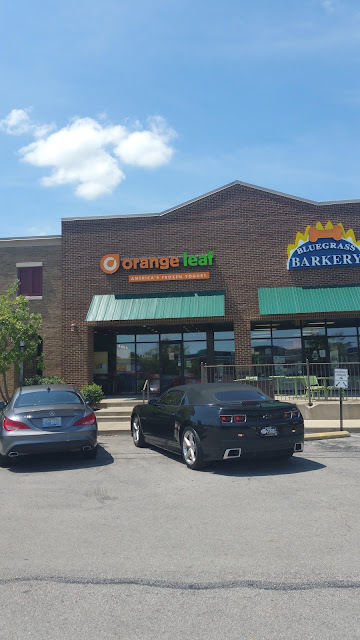 I absolutely love Orange Leaf, it is one of our favorite places to visit as a family, and I especially love that there is something for everyone. However, now it's even easier to enjoy the froyo you love, with the people you love! That's because of the Orange Leaf Pop Up Party Box! The Pop Up Party Box (or PUPB for short!) comes with either 12, 25, or 50 eight ounce cups of froyo, and toppings from the toppings bar to boot! You can choose the flavors and the toppings, to customize your party box to fit your occasion. You can take the party box anywhere: to the park, to a party, to the beach, to the office... the opportunities are endless for ways to enjoy froyo with your family and friends! We were lucky enough to have a back to school celebration with our Orange Leaf Pop Up Party Box! We had some friends over, cooked some yummy food, played in the sprinkler, listened to some music, and had a great time celebrating the end of summer! 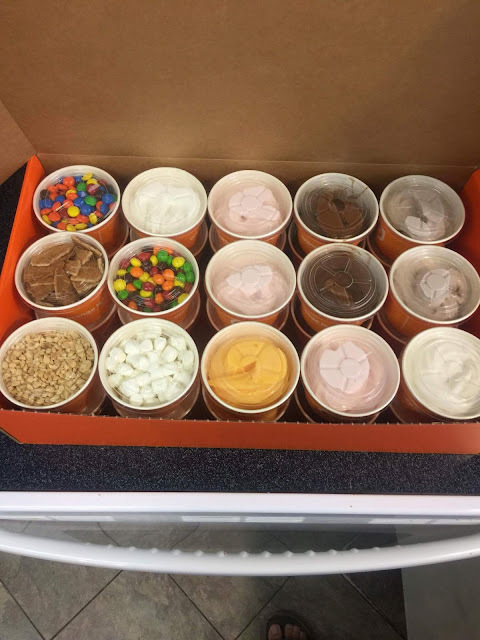 The kids absolutely loved the party box, they were able to pick the flavors they loved most, and could choose their favorite toppings as well. As a mom, I really loved the PUPB as well. First of all, each cup of yogurt is portioned already into 8 ounce containers. I love that, since it makes it much easier for me to control how much each kid is getting, and to make sure they are not eating too much. 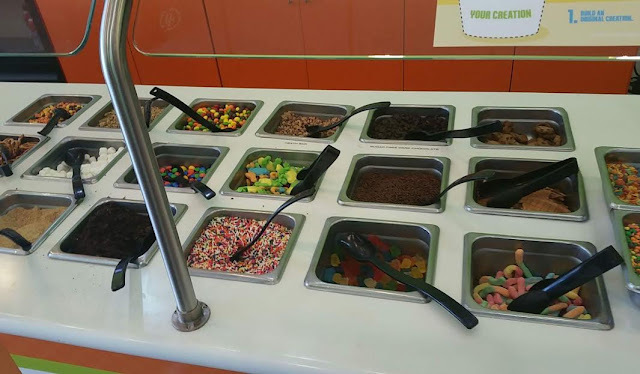 Also, as a mom of four kids, it is sometimes a little much to take four kids into Orange Leaf, and have them all choose their own flavors and toppings. This way, all the hard work is done for you, and we were able to enjoy our special treat with our family and friends as well! If you are hosting a party or any type of get together, you should seriously consider getting an Orange Leaf Pop Up Party Box. They are super affordable, with the 12 piece box at $45, the 25 piece box at $75, and the 50 piece box at $140. It's a great way to enjoy your favorite froyo on the go!! 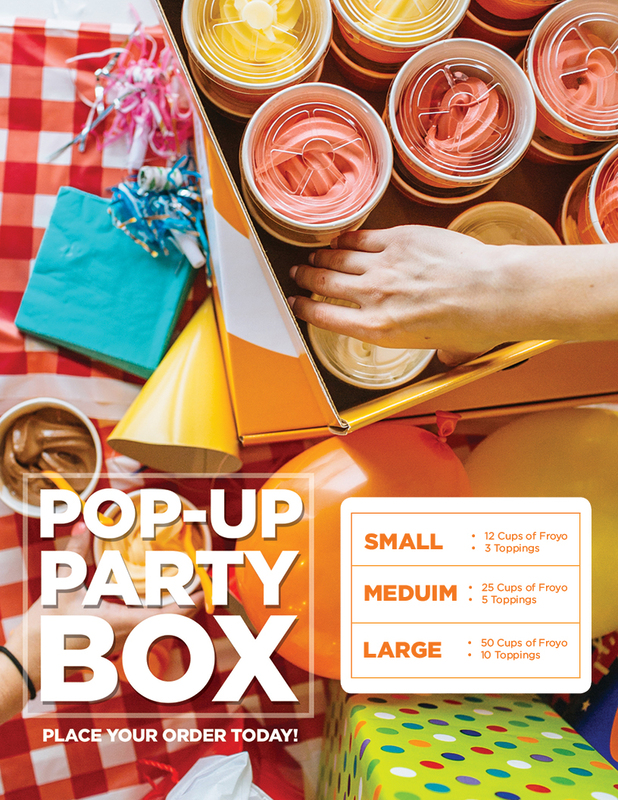 If you would like to learn more about the Orange Leaf Pop Up Party Box, click here!! 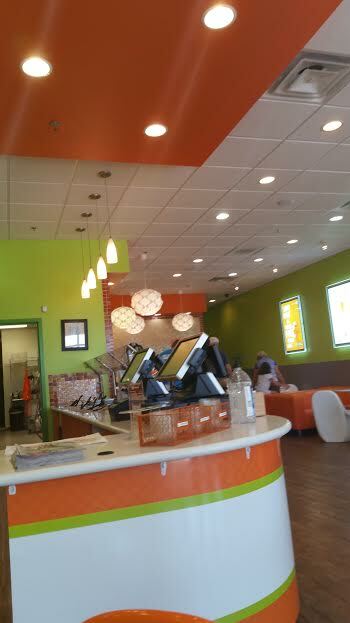 Also, we are lucky enough to be giving away 4 $25 Orange Leaf Gift Cards to our lucky winners!! Would you like to win? All you have to do is go here and look at all of the delicious OL flavors. Then, come back here to the blog and comment below with what your favorite Orange Leaf flavor is (or would be if you haven't tried yet!). We will randomly draw four winners on 9/15/16 at approx 9:30 pm, so get your entries in by that time, and make sure you leave your email as well!